Driving in Dallas / Fort Worth (DFW) can be quite dangerous, depending on which intersections you have to drive through. Whether the intersection is known for frequent car accidents or it’s a stretch of highway that is constantly congested, your chances of getting into a car wreck in those areas are higher than elsewhere. 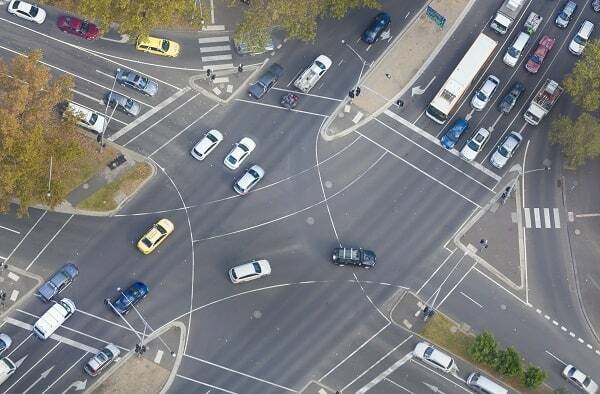 Some intersections may be dangerous because of all of the activity, whether from businesses on the corner or because the intersection has more than two roads crossing one another. Congested highways are also conducive to accidents as people get impatient and start switching back and forth from lane to lane, just hoping to get those extra few feet. Being prepared for an accident can make a difficult time a bit easier. Keep our contact information handy to call or have it available for a loved one to call in the event that you cannot. We will help you or your loved ones through this trying time. According to an interview with Matt Zavadsky of MedStar by CBS in DFW, the intersection at Weatherford and Henderson has seen 24 crashes between 2013 and 2016. He even stated that sometimes accidents would happen one right after the other – within 20 to 30 minutes of each other. The same article references a safety task force that was compiling data; and it states that the task force said I-30 and East Chase Parkway was the worst area for crashes, though it did not give any data. At the time of the article (September 2016), the task force had yet to present its data to Fort Worth Safe Communities Coalition. The number of crashes per 100 million vehicle miles traveled (VMT) for Woodall Rodgers Freeway between Stemmons and Central Expressway was 254.35 or 161 crashes in 2014. The average daily VMT for this stretch of roadway in 2014 was 173,422. This stretch of roadway sees 533,127 VMT and saw 411 crashes in 2014 with a crash rate of 203.57 crashes per 100 million vehicle miles traveled. That’s 1.12 crashes per day in 2014 – and if you hit that stretch of highway at the right time, that crash could have been you. This stretch of highway saw 533 crashes in 2014 over 758,327 VMT. While the number of crashes was higher, the crash rate was lower than the first two mentioned at 192.57 crashes per 100 million vehicle miles traveled. If you travel through any of these five intersections on a daily basis, you have a higher chance of crashing. Instead of being caught unprepared, keep our contact information handy so that you or a loved one can set up a consultation should you crash. In a case where you can’t call Dashner Law Firm yourself, make sure that your family members know where to find our contact information so that they may call on your behalf.